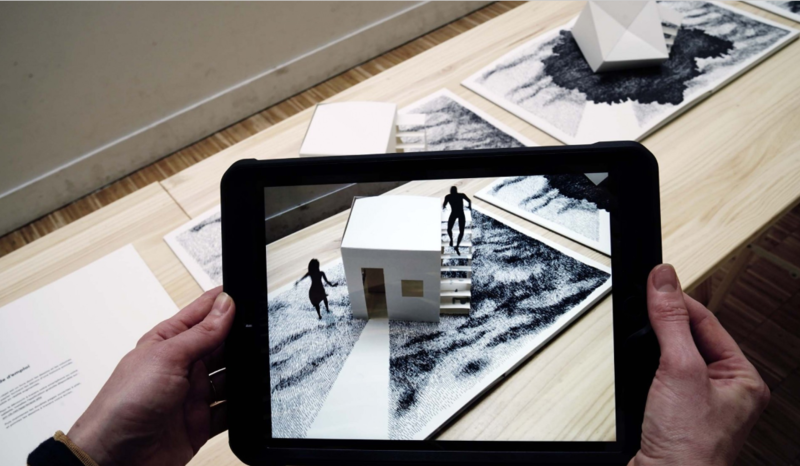 A journey in the imagery of water, with a stage performance, a pop-up book in augmented reality and an experience in augmented reality. INITI.org is an artistic collective dedicated to developing interactive new media installations, as well as to researching and creating complex audio-visual projects for both indoor and outdoor spaces. Based in Prague, the Czech Republic, the group brings together visual artists, technicians and musicians to design site-specific projects that combine visual projection with sound to transform real environments into virtual spaces.